The United Nations on Tuesday called on Turkey to end its 18-month-old state of emergency, saying that the routine extension of emergency powers has resulted in “profound” human rights violations against hundreds of thousands of people and may have lasting impact on the country’s socio-economic fabric. 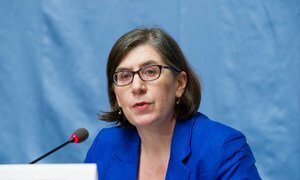 “One of the most alarming findings of the report […] is how Turkish authorities reportedly detained some 100 women who were pregnant or had just given birth, mostly on the grounds that they were ‘associates’ of their husbands, who are suspected of being connected to terrorist organizations,” said Zeid Ra’ad Al Hussein, the UN High Commissioner for Human Rights, in a news release announcing the findings. “Some were detained with their children and others violently separated from them. This is simply outrageous, utterly cruel, and surely cannot have anything whatsoever to do with making the country safer,” he added. While taking note of the complex challenges Turkey has faced in addressing the attempted coup in July 2016, as well as a number of terrorist attacks, the report cites that the sheer number, frequency and lack of connection of several emergency decrees to any national threat seem to point to the use of emergency powers to stifle any form of criticism or dissent vis-à-vis the Government. During the 18-month state of emergency, nearly 160,000 people have been arrested; 152,000 civil servants dismissed, many arbitrarily; and teachers, judges and lawyers dismissed or prosecuted. It also notes that about 300 journalists have been arrested under allegations that their publications contained “apologist sentiments regarding terrorism” or other “verbal act offences” or for “membership” in terrorist organisations. Covering the period January to December last year, the report also states that the April 2017 referendum which extended the President’s executive powers into both the legislature and the judiciary as seriously problematic, resulting in interference with the work of the judiciary and curtailment of parliamentary oversight over the executive branch. By the end of 2017, 22 emergency decrees were promulgated with a further two more since the cut-off date of the report. The report further underlines the need ensure independent, individualized reviews and compensation for victims of arbitrary detentions and dismissals and calls on Turkey to promptly end the state of emergency, restore normal functioning of State institutions, as well as revise and release all legislation not compliant with its international human rights obligations, including the emergency decrees. “I urge the Government of Turkey to ensure that these allegations of serious human rights violations are investigated and the perpetrators are brought to justice,” said Mr. Zeid, also calling on the Government to allow full and unfettered access to his Office (OHCHR) to be able to directly, independently and objectively assess the human rights situation in the southeast of the country. The United Nations today voiced grave concern about the arbitrary detention and arrests of human rights defenders in Turkey and called on the Government to ensure that activists can carry out their work in a safe and enabling environment without fear.